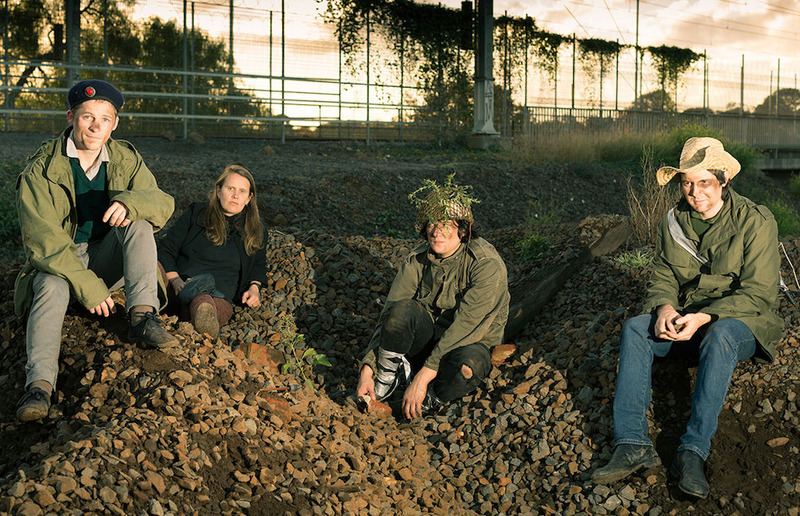 Acting as a respite from the celebrated strains of modern Australian underground music, Lower Plenty manage a deconstruction of folk music like none other: unsettled, unforgiving, unconcerned with what came before or what’s to follow. Acoustic guitars shuffle in and out of phase with one another, double-tracked vocals hover above in careful meter, brushed snare rattles the very frame of their sound, and then everything shifts again, and again. Comfort’s not long here, though beauty is maintained—melodies start sweet but turn inward, wane nostalgic and wax without resolve. Lyrics pawn regret out of the ordinary, drifting in-and-out of your consciousness like something heard in passing and reconstituted in a dream. Their sound demands your attention, to the point where gloved, spectral hands could very easily jump out of their music and grab you by the sides of your head. Come see them play in the gardens in October!